If you were hoping that social media was a passing craze, it may be time to admit defeat. Most major companies have not only signed up but have embraced the medium as it allows a new level of marketing and customer interaction. If you need further proof that Social Media is on the increase while privacy is on the decline, simply take any method of public transport or attend an event. You will be surrounded by camera phones, tablets and other devices that will document what is going on and share information immediately on the web. 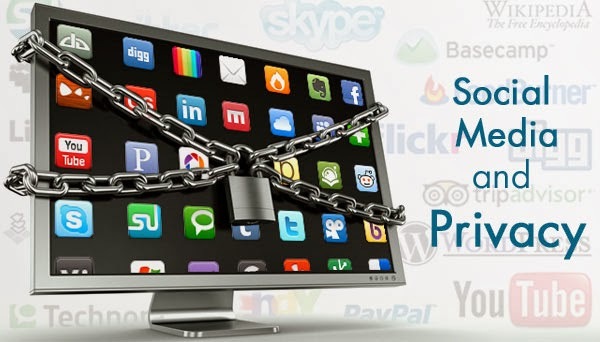 You don't need to shut yourself away from the world in a bunker just yet however, there are many ways to protect your privacy on Social Media and Social Networking websites like Facebook, Twitter, Google Plus, Pinterest, Reddit, Stumbleupon etc. There are dozens of social media sites available, do you really need to join them all? Consider what you want to use social media for. Membership is not required to view certain sites and pages, while you can still contact most companies via traditional methods like with a simple phone call. If you are using social media to keep in contact with family then find out which website your family members use and join that one only. Before you even start using social media or deciding what information to share, it is vital to ensure your account cannot be accessed by people you know, or worse, online hackers. Do not choose the names of your kids, pets, sports team, or any other word that is easily associated with you. Equally important is to choose a different password for each social media account you have. A good password will have a mix of letters, numbers and symbols. Password managers that will generate and store your passwords are available online, but be sure to seek advice before choosing one. Most social media sites will ask you to fill in a complete profile when you sign up. Pay attention to what is required to set up an account, and what is surplus information requested by the site. Your family and friends already know your birthday and phone number, refrain from sharing more than you need to. The easiest way to protect your privacy on Social Networking sites is to keep your private information to yourself. Many social media sites have extensive privacy settings to protect your information. However, not all of them enable them automatically. Be sure to see what options are available and at the very least ensure your account is private and not public. Remember that you have control over what you share on a daily basis. In many cases social media is not the problem; it is the people who use the medium without understanding it. If you are smart about what you share then social media is a valuable communication asset. But while you might intend for a family portrait to be viewed only by your friends and family, once a photo is uploaded to the web it is essentially online forever. In a matter of seconds it can be saved and re-uploaded to another site. When sharing content, imagine it will be immediately available to both your mother and your boss. If you would be uncomfortable with them finding it, then it's best not to post!